This book draws together the most recent developments in REIT management from academic research and professional practice. It is based on current, original academic research, including structured interviews with the managers of a wide range of different types of REITs as well as the research and publications of others, together with the author's 25 years experience in REIT management. It provides a theoretically robust and practically relevant up to date guide to the property investment decision making process for REITs. Presenting new insights, the author breaks the REIT property investment decision making process down into three phases comprising six stages with 30 sequential steps. Each chapter focuses on one stage of the property investment decision making process and introduces the key people in the REIT management team relevant to the activities in that chapter. The theory and principles are considered and illustrated by application to Super REIT, a $15bn diversified REIT. 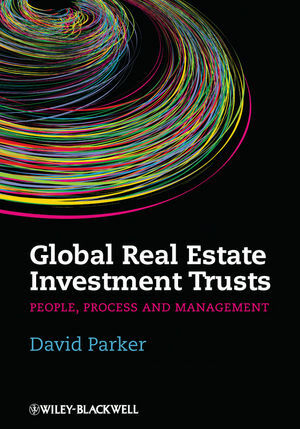 Global Real Estate Investment Trusts: People, Process and Management fuses not only how REITs should undertake property investment decision making - based on how it is undertaken and the underlying property theory, capital market theory and finance theory - but also why each part of the decision making process is important. This book provides the first sole-authored scholarly work specifically on REITs as a business enterprise and REIT property investment decision making as an holistic and cyclical process. The focus is on principles, making it relevant in each of the four major REIT markets around the world: USA, Europe, Asia and Australasia. An essential book for REIT managers and all those practising professionals involved in the REIT industry - including property practitioners, researchers, lawyers, accountants, bankers and directors around the world. Professor David Parker (www.davidparker.com.au) is an internationally recognised expert on both the theory and practice of REITs, being a consultant to the REIT industry internationally. He is Professor of Property at the University of South Australia, an Acting Commissioner of the NSW Land and Environment Court and a REIT director, adviser, author and expert witness.